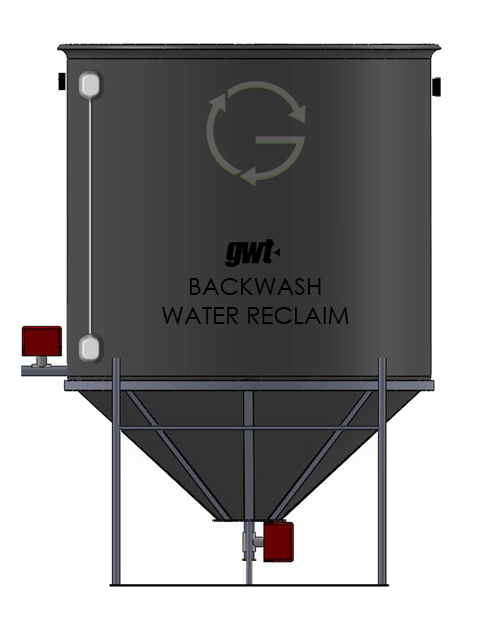 The BWR holding tank collects the concentrated BackWash (contaminated) water from other GWT Systems. The conical structure allows solids to gravitate and settle at the tank's Bottom Dead Center, directly over the purge valve. The BWR system is configured and programmed with two valves and two sensors, which recognize when the system is low/full, and later control the purge and drain/return sequences. 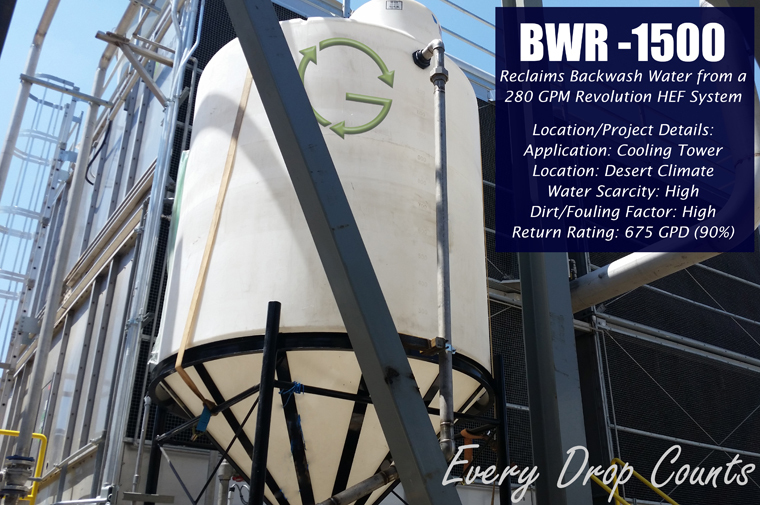 Once the low level sensor recognizes the unit is empty, the BWR System immediately goes back online to collect, settle, purge, and return more water for onsite use. BWR Systems are scalable. Volume/Sizes are dependent on the flow rate of the system they are connected with. Individual BWR Systems can hold up to 12,500 gallons of water. For larger system requirements, or to shorten the time period between make-up water introductions, a series of BWR Systems can be networked together from the same control panel . Design options for GWT BWR Systems include: Internal UV Antimicrobial Lighting, TDS Monitoring, Automated Chemical Injection Treatment, Side-Stream Electrocoagulation Treatment, Remote Management System, and Potable Water Design (NSF rated). 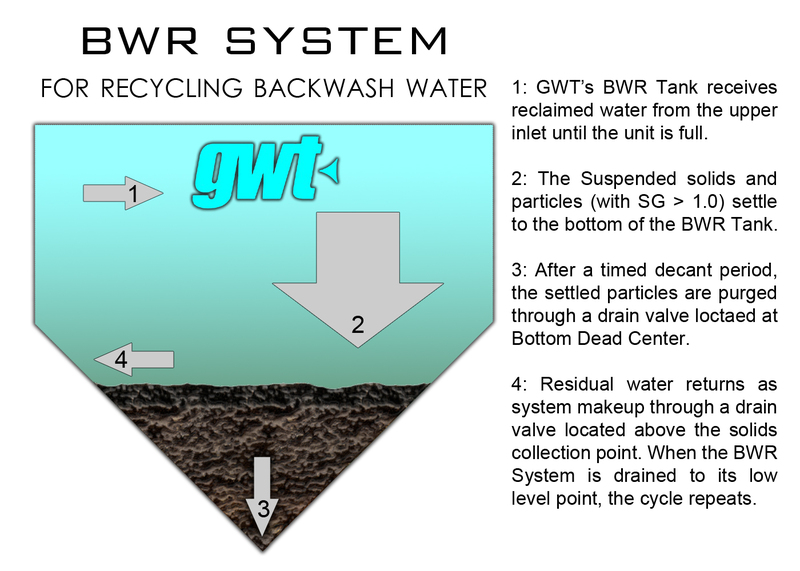 The following is a diagram to help explain the BWR System's automated four-stage cycle.